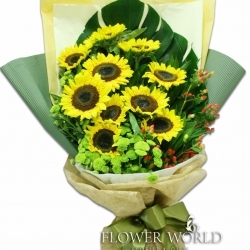 10 sunflowers arranged together in a long style bouquet. 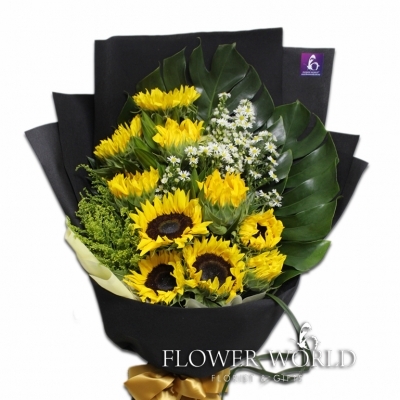 A bouquet of 10 vibrant sunflower wrapped in black wrapping paper. 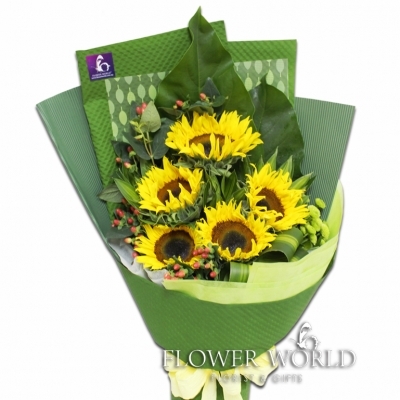 5 Sunflowers with berries arranged together in a bouquet and wrapped with modern green wrapping paper. 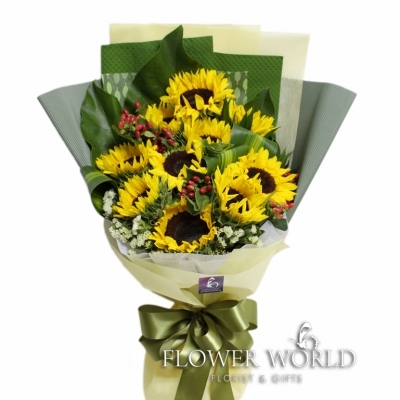 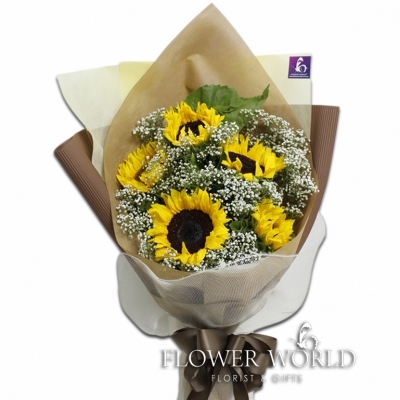 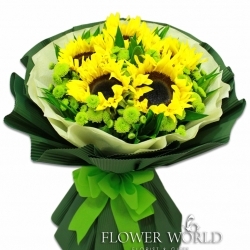 5 vibrant sunflower placed in a bouquet along with baby's breath, matched with brown wrapping paper. 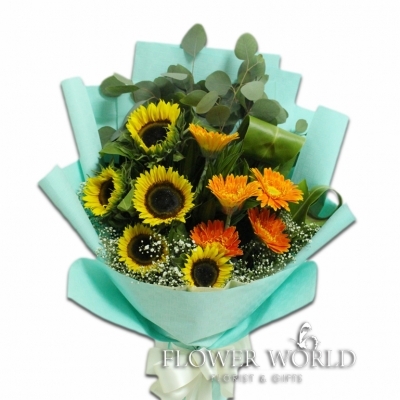 A long style bouquet of 5 sunflower and 5 orange gerberas along with eucalyptus leaves and baby's breath.